One thing most digital CCGs don’t have to worry about is competition with their real-world counterparts. Nobody at Blizzard has to compute how much Hearthstone sales affect the sales of a physical version of the game, for instance. It’s a little different with Magic: The Gathering Arena. Digital versions of Magic have co-existed alongside the physical product for nearly two decades. Now we know that the plan for Arena is to launch its new card sets in tandem with the physical product’s. 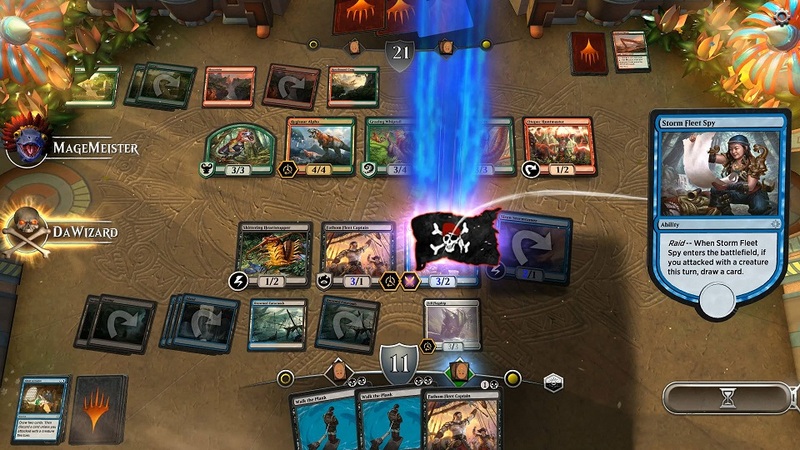 Speaking to PCGamesN, Communications Manager Steve Sunu said that “when you see a release in the physical world you should be able to see it in MTG Arena.” He references similar ventures in Magic Online, where the cards sometimes arrive a day early. So will that affect sales of the physical Magic product? Sunu doesn’t think so. “We have a track record of making sure that our product can launch on many different platforms at the same time.” You’d think that if it were a problem, the team at WotC would have realized that by now. Fortunately, they’ve come to realize that a digital product can complement a physical one without replacing it.